There’s a lot of “Hot Issue” topics flying about these days – whether it be the current political situation, the economic climate, human rights or the horrific damage we are doing to our world just by existing and being ignorant about it. There is one hot issue however that for me, personally, trumps every other out there… and that is the issue of our own Mental Health. And luckily for me, it would appear I’m not the only person who feels that way… I mean, I guess it really would be a truly trash world we live in if I was the only person who felt that way wouldn’t it? ANYWAY, not only I am not the only one who cares about mental health, but as it turns out, literally two of my favorite celebrities on the entire planet are now going to be advocating for it too. 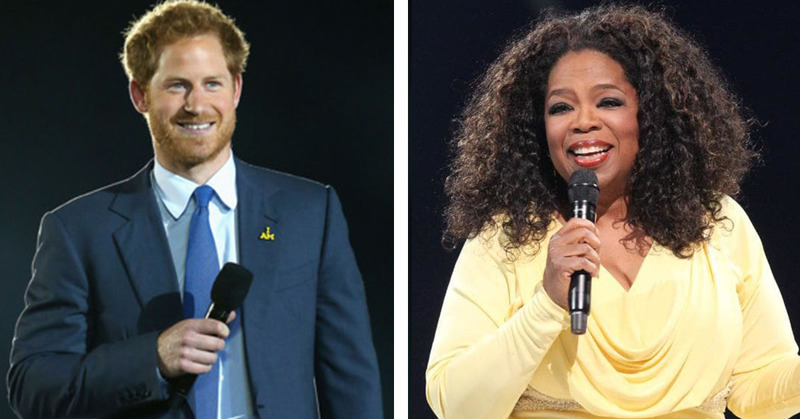 Yep, that’s right folks, both Prince Harry and Oprah Winfrey have reportedly confirmed that they will be collaborating with each other in order to produce a series of mental health documentaries as part of a recently announced deal with Apple TV. Prince Harry AND Oprah Winfrey. I’ll just give you a second so that the greatness of this collaboration can truly sink in. Ian West / AFP / Getty Images – Oprah Winfrey arrives at Prince Harry and Meghan Markle’s wedding. This glorious news was recently confirmed during a post which appeared on the Duke and Duchess of Sussex’s official Instagram account. A statement revealed the UK’s cheeky red-haired Prince Harry and the USA’s very own global treasure Oprah had in fact been developing this series for “several months”. …Just when you thought nothing could beat David Attenborough’s Our Planet… am I right!? “We are excited to announce that The Duke of Sussex and Oprah Winfrey are partners, co-creators and executive producers on their forthcoming mental health series launching on Apple in 2020,” the Instagram post read. Prince Harry himself is no stranger to talking about mental health – especially in the more recent years. The young prince has been very open about how much he struggled after his mother’s untimely, tragic death, and how he wished that he had spoken up more about it to others when he was struggling to deal with it himself.